Unless you’re living in the middle of the desert, there is a very good chance that the natural habitat around your home is abundantly stocked with wild foods just waiting to be harvested. 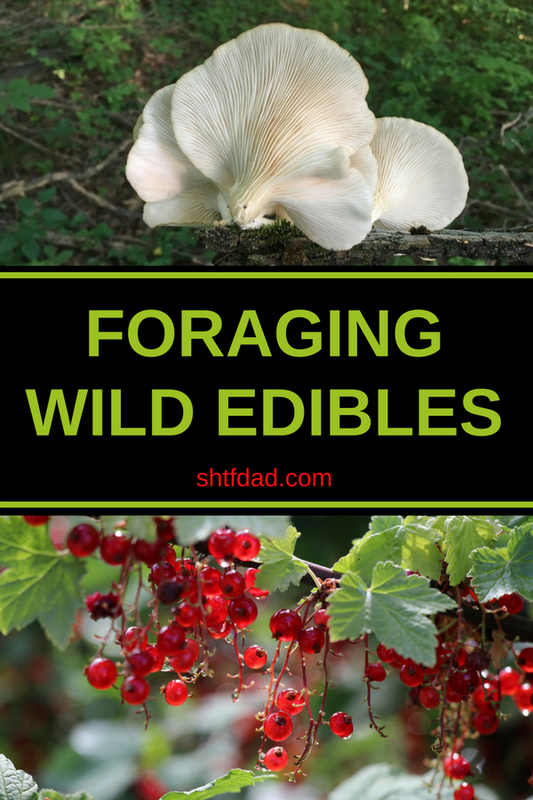 Here’s a look at foraging wild edibles: learn about the most popular foods you can forage. You may have heard the term “hunter gatherer” – a term that describes many native people living in various lands. Most indigenous people spent a good portion of their days hunting large game if available, trapping and fishing other small animals, and gathering the fresh seasonal foods in their immediate environment. Still other tribes would follow their food as the seasons changed, moving closer to areas where the game and vegetation was more abundant throughout the year. Nowadays, the kinds of foods people forage depend on their tastes, temperament, and the availability in their natural environment. 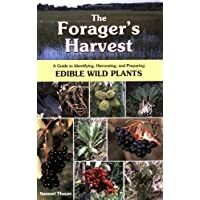 In the U.S.A. many people forage and consume a variety of natural foods; nuts, seeds, fruits, berries, roots, greens, mushrooms, and other medicinal plants and herbs. Foraging wild edibles is not hard, but can be scary if you don’t know what you’re doing. Here are a few books to help you get comfortable. Here is a quick list of the most popular foods to forage. One thing to keep in mind about flowers is that the pollen can sometimes detract from the taste, and may even trigger an allergic reaction in some people. 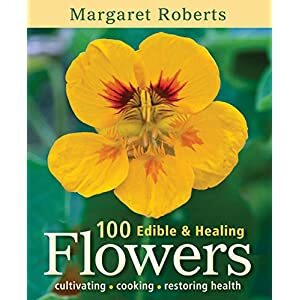 100 Edible & Healing Flowers: Cultivating, Cooking, Restoring Health You may want to consider removing the pistils and stamens leaving only the petals, before eating. Also, introduce them into your diet gradually to avoid exacerbating your allergies. It’s best to eat flowers you’ve grown yourself so that you know what soil they’ve grown in and what, if anything, may have been sprayed on them. Flowers purchased from a florist or nursery may be unsafe to eat because they’ve been treated with pesticides or other chemicals. Similarly, don’t eat roadside flowers or those picked from public parks. It’s likely that they have been treated with pesticide or herbicide. Flowers found on the side of the road will have been contaminated by car exhaust and other carcinogenic pollutants. There are dozens of flowers you can eat. Some of the most common flowers and blossoms include all varieties of Squash, Chamomile, Citrus , Cilantro, Hibiscus, Jasmine, Mint, Rose, Rosemary, and Violets. They can also be added to salads and desserts for color, fragrance, and whimsy. You can keep flowers fresh by placing them on top of moistened paper towels in a covered airtight container and refrigerating for up to 10 days. If your flowers go limp, you can also revitalize them with ice water. Nuts are technically the hard fruits of a tree or bush. They have varying seasons when they can be found. Seeds are also only to be found in the post-harvest season when plants are allowed to prepare themselves for replication. All seeds are found in the fruits or pods of a plant, and some are quite tasty. Acorns however, require a good amount of soaking and prepping to remove the tannins before eating or being ground into flour. 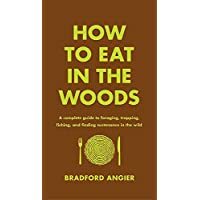 Consult with a local guide or connect with other foragers to learn the tricks of the trade. Berries and fruit are easy to find because they are usually quite large and colorful. 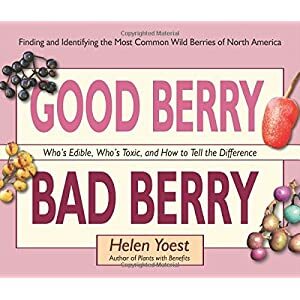 Good Berry Bad Berry: Who’s Edible, Who’s Toxic, and How to Tell the Difference (Good…Bad) Everything from mulberries to ground cherries are free for the taking. 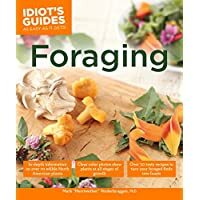 I recommend following local foraging groups in your area so you can stay abreast of the seasons and know what’s available. That way you to go out and gather food before the birds and other animals do. When foraging, be sure to always leave enough for local wildlife. There are a variety of green leafy plants that taste great fresh in salads or cooked and added to stirfrys and stews. Some of the more common wild roots and bulbs include wild carrot and other foods like wild Onion, Leek, Day lilies, Queen Anne’s Lace, and Potatoes. All of these foods are buried underground and out of sight so you have to know what leaves and flowers look like above ground to find them! Some medicinal roots, like Valerian, are also used to treat mood disorders and help with sleeplessness. 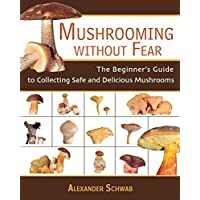 Mushrooming without Fear: The Beginner’s Guide to Collecting Safe and Delicious Mushrooms Edible mushrooms can be a great addition to any diet. Hundreds of wild mushrooms are edible, but many others can make you very ill, or even kill you – so be sure to never pick or eat a mushroom that you are not 100% certain you’ve identified correctly. 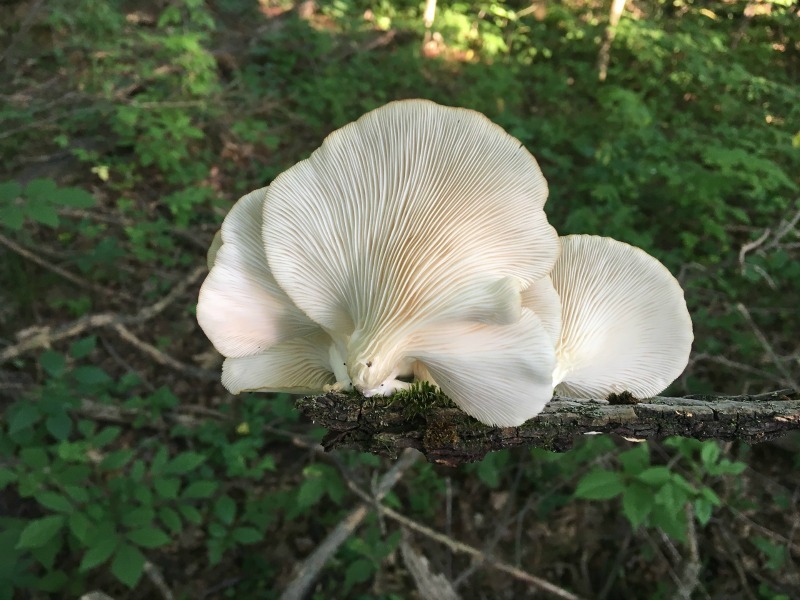 Some mushrooms can be found year-round, but most mushrooms are most easily tracked down in the damp seasons – late winter or early spring in many geographical areas. The best time for mushroom hunting in the Pacific Northwest, for example, is between November and February. In other climates mushroom hunting season can start later and continue well into April and May. Due to their nutrient dense properties, many of the wild foods already listed are also potent medicinal plants with specific properties that heal and soothe a variety of ailments. 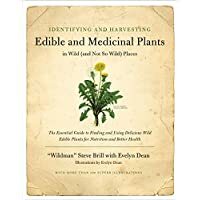 These plants and medicinal weeds, with their leaves, flowers, roots, and seeds, can be consumed raw, cooked, steeped in tea, infused, pressed for oil and made into tinctures. Volumes upon volumes have been written on the simple benefits of plant-based medicines. Consult an herbalist, or read, research and experiment before treating yourself with wild plants. Some plants are dangerous if consumed in large quantities, but can be used to treat intestinal parasites, or as an expectorant if used in small quantities. No matter what your taste or climate there are wild natural foods available for the harvesting. 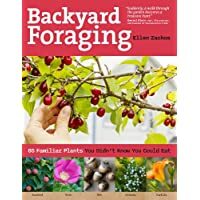 I recommend teaming up with other experienced foragers to learn which plants are safe, and which to avoid. Also, invest in a few detailed field guides to help you identify plants out in the wild. If you plan a day trip or hike, also invest in a small first aid kit, and learn the plants that can be used as antidotes for irritating plants like poison oak, poison ivy, and stinging nettles (Jewel Weed by the way) first and foremost. With practice it does get easier. Once you know what’s safe and what’s not, you can share that knowledge with others and encourage people to eat from the wild abundance around us. This article was graciously contributed by James Smith, an avid survivalist with a passion for prepping and homesteading.